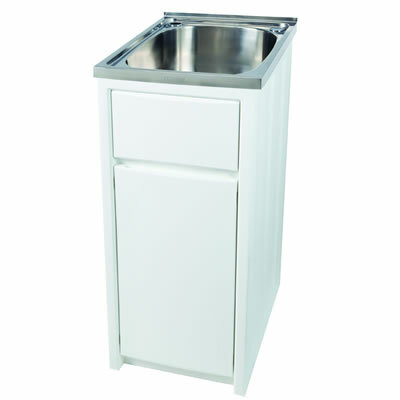 The Project 30SP Laundry Cabinet & Sink is an all-in-one laundry unit, which is stylish and compact. 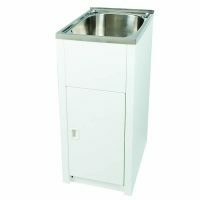 It is equipped with a 30L bowl and a polymer cabinet and is designed to handle all your laundry needs. The Project 30SP Laundry Cabinet & Sink measures 395x570x870mm in dimensions and is suitable for use in small laundry spaces in townhouses and units. This laundry unit is the only thing you need for an instant functional laundry. 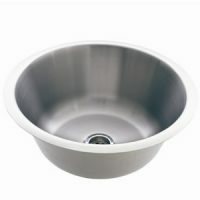 Sporting a durable white finish, it features a stainless-steel bowl that is equipped with a plug and waste, and a single bypass. The polymer cabinet is built to withstand the test of time, which is evident from the impressive warranties it offers. As a mark of quality, the stainless-steel bowl and polymer cabinet are backed by a 25-year manufacturer warranty, while a 1-year manufacturer warranty covers the plugs, wastes, hinges and rods. Trust the highest level of quality from this laundry unit. For compact all-in-one laundry units in Perth, choose the Project 30SP Laundry Cabinet & Sink at Ross’s Discount Home Centre. Shop from our online store to buy this laundry unit at the best possible price today!